80 hand picked Porsches filling the Queen St Mall from 8.30 until 1.00pm. Who wouldn't want to miss it ? Well the Lennox Head Overnighter convoy decided to leave off the PCQ display at Raddacliffe Place and instead enjoy our leisurely drive south to Lennox Head and our black T shirt gala event at the Lennox pub. 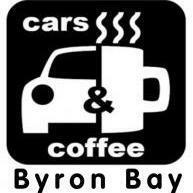 Do we need to reserve a table for breakfast at Byron Bay Cars & Coffee this Sunday?